A couple of weeks ago I shared with you a recipe for Pumpkin Chocolate Chip Blondies that combine some chocolate with the great taste of pumpkin. 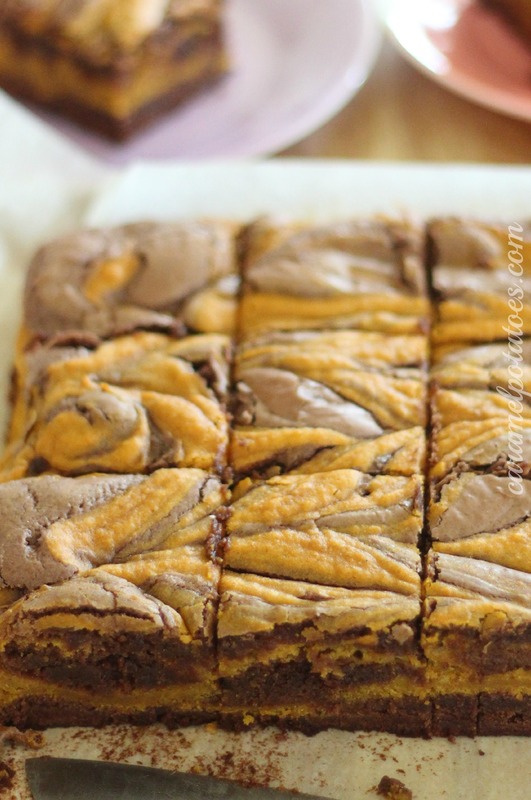 The mix of chocolate and pumpkin is fabulous, so naturally I couldn’t resist these Pumpkin Swirl Brownies which combine the great taste of pumpkin with chocolate brownie. 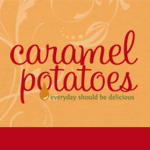 Same great concept of melding two delicious flavors into one fabulous treat. These brownies are a delicious treat for Halloween or throughout the Holiday season. Preheat oven to 350° F. Line a 9 x 9 baking pan with parchment paper or foil. Lightly coat parchment or foil with cooking spray. Melt dark chocolate and butter in a microwave safe bowl; heat at 30 second intervals, stirring between each, until melted and smooth. In large bowl, whisk together flour, baking powder and salt. Set aside. With mixer, combine sugar, eggs and vanilla. Beat until fluffy. Add the flour mixture. Remove 1 1/2 cup batter into a medium mixing bowl and stir in pumpkin, oil, cinnamon, nutmeg and pecans. Add melted chocolate to the remaining batter in the mixer. Transfer half of the chocolate batter to the prepared baking pan. Then top with the pumpkin batter, reserving 1/2 to 3/4 cup for top of brownies. Add remaining chocolate batter on top. Spoon the last of the pumpkin batter into small dollops across the top of the brownies. Using butter knife, gently swirl the two batters to create marbled effect. Bake for 40 to 45 minutes, or until set. Let brownies cool completely, about 1 hour. Cut into 4 rows by 4 rows to make 16 brownies.